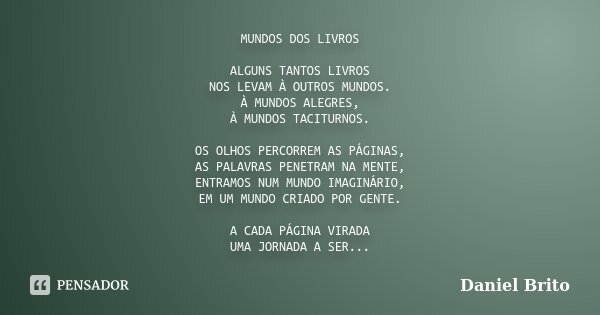 NOS LEVAM À OUTROS MUNDOS. EM UM MUNDO CRIADO POR GENTE. TORNANDO MAIS INTERESSANTE A VIDA.